This review of “Outlive Your Life” by author Max Lucado is one that I enjoyed doing the most from the books I read during the past year. It is one of the books from Thomas Nelson. The title of the book itself is challenging. It is a book about making your life count for the world and leaving a legacy. 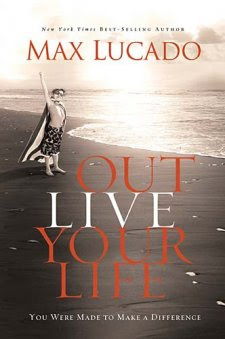 This book by a great author and story teller Max Lucado, "Outlive Your Life" with subtitle You Were Made to Make a Difference is a book that challenged me to look at the needs around me - the immediate community and the world. As a pastor of a 7-year old church who have also gone to missions trips locally and internationally, I was still compelled by the updated statistics about poverty around the world were presented in the beginning. It challenged me to continue what I am doing and inspired me to think of innovative ways to impact my surrounding community. I would recommend this book to those who feel that life is boring, dragging and tired of finding purpose in things that are shallow. If there is a book that I could use to preach on and get illustrations, Max Lucados’s “Outlive Your Life” is one of them and I am glad that I was given an opportunity to write this book review for Thomas Nelson. Is it Time to Get Into Badminton Again?